Abstract: Electric unicycle, as a new transporter, is always compared with scooter which takes similar time to charge and delivers similar range per charge. Although scooter may be better at speed, yet its slim body is likely to tremble with motion. Developed from skate board, scooter is a newly invented transporter for short distance travel. Scooters can be classified into 2 categories in light of its power mode: man-powered scooter and electric scooter. Normally a scooter weighs only 10kg, which saves much strength and space, and features portability. No wonder it amazes fans worldwide. Electric unicycle is always compared with scooter which takes similar time to charge and delivers similar range per charge. Although scooter may be better at speed, yet its slim body is likely to tremble with motion. 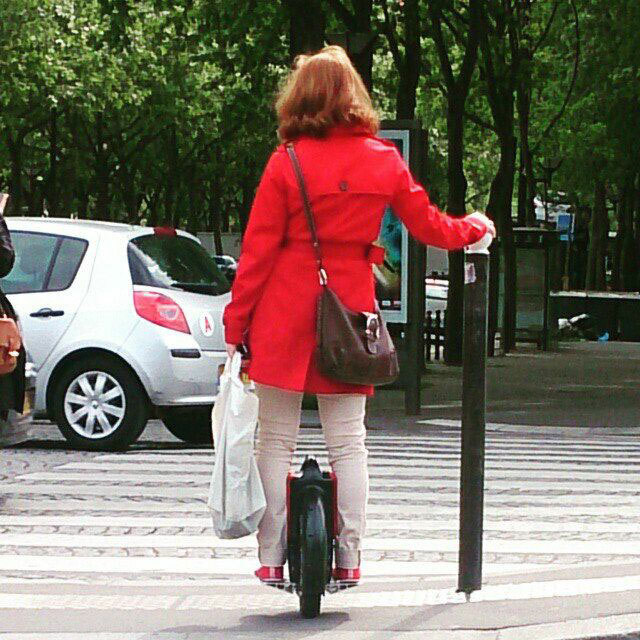 On the other hand, balancing on an electric unicycle is much easier. Airwheel, as the leading electric unicycle manufacturer, is controlled by a cutting-edge intelligent system, which means when travelling at the same speed, the scooter will be trembling for tiny body movements, yet on Airwheel, riders are free to make any movements as wish e.g. leaning forward and backward, tilting left and right, to control the unit. When it comes to the safety, since a scooter is lighter with higher center of gravity, the rider will probably fall over when he/she brakes. On the contrary, thanks to the leading motion-sensing technology, brake safety has been improved significantly on Airwheel intelligent electric unicycle. 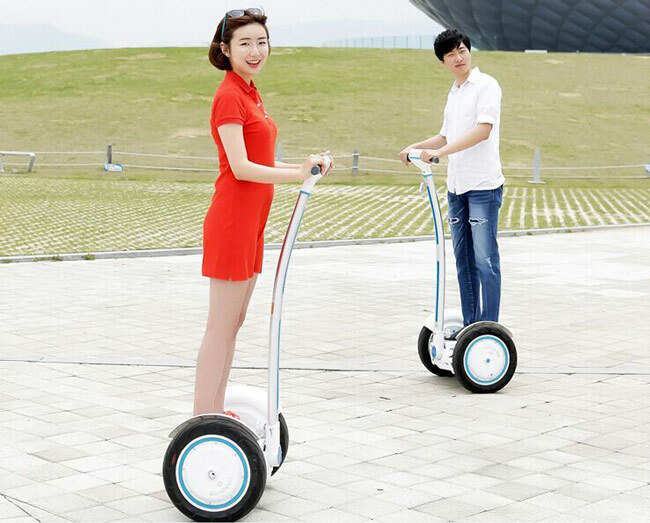 In addition, with the latest safety protection technology such as speed limit control, low battery protection, tilting protection, beeping alarm, and charge protection etc, Airwheel electric unicycle guarantees better safety performance than ordinary scooter. In general, as a new personal transporter for short distance travel, Airwheel electric self-balancing unicycle delivers better performance than scooter in many aspects. When it comes down to user’s choice, everyone has his/her own judgment about which one to choose. Airwheel’s products are hot among both distributors and customers since its first launch, and have built up a massive distribution network by entities spreading across over a dozen of provinces in China. Meanwhile overseas market plays an increasingly significant role in Airwheel's business strategy. With increasing awareness and appeals of environment protection, effective actions have been taken to bring about a new age of green transportation. The first step towards a greener and better era is to commute on a clean energy powered transporter, and Airwheel is the best option.